Washington - Republican Senator Marco Rubio on Monday sought to quash speculation that he might emerge as the vice presidential running mate for Republican candidate Donald Trump, saying he still has deep reservations about the billionaire. “He will be best served by a running mate and by surrogates who fully embrace his campaign. As such, I have never sought, will not seek and do not want to be considered for vice president,” Rubio said in a statement. 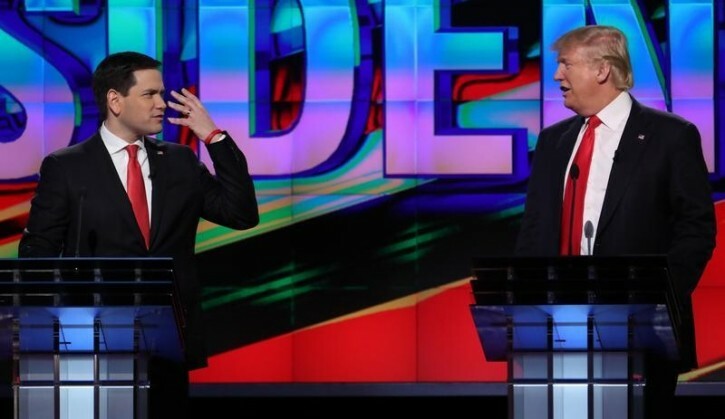 Rubio, a former Republican presidential candidate himself, and Trump clashed repeatedly in the weeks leading up to the bitterly contested primary vote in Rubio’s home state of Florida in March. Trump had dismissed Rubio as “little Marco” and won the state handily, dealing a death blow to Rubio’s campaign. Rubio had blasted Trump as a con artist who is not a conservative. “While Republican voters have chosen Donald Trump as the presumptive GOP nominee, my previously stated reservations about his campaign and concerns with many of his policies remain unchanged,” Rubio said. GOP, short for Grand Old Party, is an acronym for the Republican Party. A former Trump campaign rival, retired neurosurgeon Ben Carson, is leading Trump’s search for a vice presidential running mate. Trump has said he is considering a variety of his former rivals for the nomination, but some have ruled themselves out or declared they will not support him. Good for him. Poor Chris Christie he is just dying to get that offer. Best to let Carson or some other wacko take the job.